There are a million ways to say happy anniversary to your girlfriend, but creating some magic with words will always be the best way to do it in the beginning of the day. You can take this opportunity to make amends for all those times you've made her feel a little awkward. Just get a greeting card and write your message using the most romantic words. Here's what you can try. You're the best person for me in the whole world. I have the time of my life whenever you're around. You're always on my mind – is this what they call love? You're the one who brought love and joy into my life. People ask me why I smile these days – how do I tell them that I smile when I think about you, and I think about you all the time? Everything about you makes me feel happy and lucky. My friends say I am lucky – I think I'm the luckiest of them all since you're with me. They say don't fall in love because it hurts. I took the risk the moment I saw you. 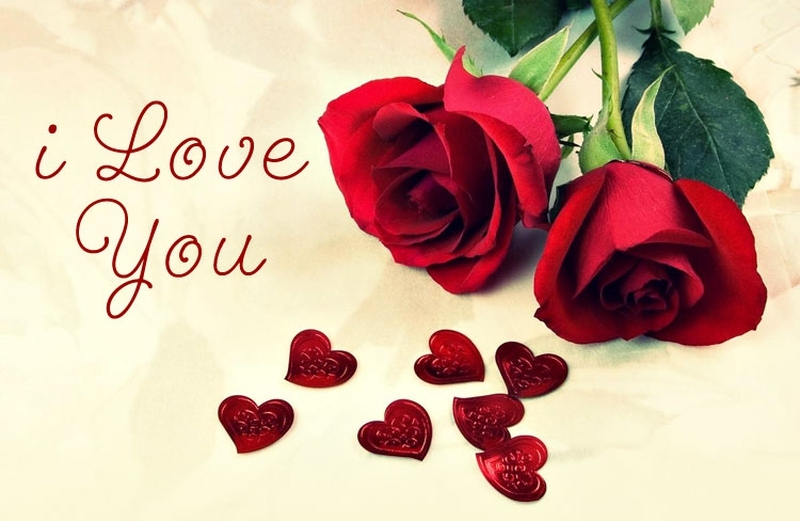 I love you more with every passing moment – my love has even grown when I began writing this to thank you for being around. I consider myself lucky because you chose me to be the love of your life. I love you so much; you make my love worth living. Thanks for being my life partner! I sometimes think what the life would have become if you were not there. You're my courage. You're my support. You're my everything! Even a thousand mountains can't stop me to see you – that's how much I love you. Even the worst day in my life wasn't that bad with you being there for me. Thanks for all your love and support! Please stop being so amazing, you'll drive me crazy. I cannot stop thinking about you. I even can't think of trying. Your love is all I need to climb thousand mountains, girl! The moment I met you girl I knew you were the one I wanted to be with forever. You're the most adorable girl I even bumped into. Love is so much more than a sweet hello, a shy smile, a lingering kiss… and a soft caress. You're the perfect definition of love for me, girl! I cannot find another heart like yours, and I promise you cannot find any love like mine. I seem to have loved you in so many ways, so many forms, and in life after life. You're my shining star; you make me feel loved and special. Thanks for being the girl of my dreams. What I feel for you is something special – thanks so much for making my life beautiful and filling it with such amazing details. I must admit today – I have fallen in love more than I can even remember. But… I've fallen for you always! is it possible for me to have a look outside our ward? It's the day today – it's our anniversary, girl. Does this give me the license to forget your birthday now? I thank you and appreciate every minute of your stay – it's hard to deal with a man of my caliber, but you're awesome! There's one place we need to be on our anniversary – it's our bedroom honey! Salt and a paper cut aren't supposed to be together, but they end up well always – just like both of us! I kept thinking for hours but couldn't find a reason why you wasted so many years of your life with me – am I really that great? The best thing I love about you is that you love me back and let me be the person I am. Am I the only one thinking a condolence card would be more fitting for the occasion? That won't hurt our love for each other. Right? If I could get the power to change my past, I'd never change the way and the day we met. You're the best thing ever happened to my girl!